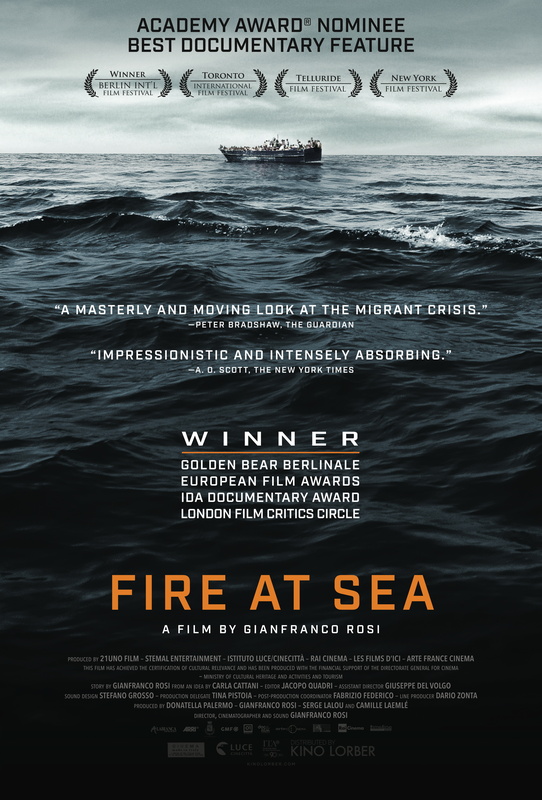 "Fire At Sea" is a documentary that examines the refugee crisis and its effects on the Italian island of Lampedusa, a remote, rocky outcropping in the southern Mediterranean. Nominated for an Oscar as Best Documentary in 2017 by members of the Motion Picture Academy of Arts and Sciences, the film brings to light the struggle, determination and tragedy taking place as over one million displaced people seek refuge in Europe. Like the Greek island of Lesbos, the Italian island of Lampedusa has been overwhelmed trying to care for an influx of people seeking a better life. Our film series is designed to increase public awareness of difficult issues and initiate conversations about possible solutions. "Fire At Sea" does all that and more. The public is invited to the Gracie Theatre at Husson University for a free screening of the documentary film, "Fire At Sea" on March 22 at 7:00 p.m.
"Fire At Sea," or "Marefuocco," takes place on the Italian island of Lampedusa, a remote, rocky outcropping in the southern Mediterranean. The island is closer to the Libyan shore than it is to Italy. 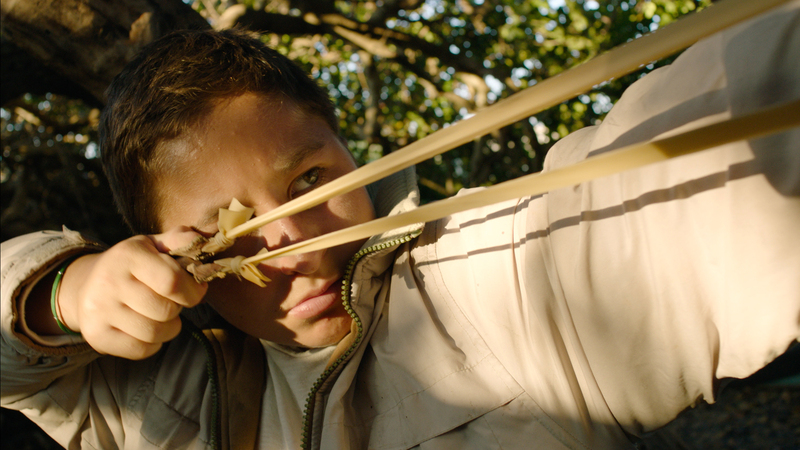 The documentary tells the story of a 12-year-old Italian boy who enjoys fishing, school and using his slingshot. The boy also enjoys staring at the ocean and speaking with the thousands of people who cross the sea to his island. Because of its geographic proximity, in the last several years Lampedusa has become a central arrival point for waves of economic migrants and refugees. Like the Greek island of Lesbos, Lampedusa has been overwhelmed trying to care for an influx of people seeking a better life. To address this crisis, local residents have risen to the occasion and worked in small boats through the night to rescue thousands of shipwrecked and desperate people. "Fire At Sea" describes the refugee crisis in a unique and poetic way. Nominated for an Oscar as Best Documentary in 2017 by members of the Motion Picture Academy of Arts and Sciences, the film brings to light the struggle, determination and tragedy taking place as over one million displaced people seek refuge in Europe. The motion picture will be introduced by Hamet Ly of Catholic Charities in Portland, the only licensed non-profit, non-governmental organization to work with refugee resettlement in Maine. Over the last twenty years, Catholic Charities Refugee and Immigration Services have been working to help care and assist refugees who arrive in our state. Following the film, Ly will be joined by Dr. Stefano Tijerina, an adjunct professor at UMaine, and Dr. Nico Jenkins, an assistant professor of ethics and philosophy at Husson University’s College of Science and Humanities, to answer questions about the emerging refugee crisis. The film is part of a documentary film series presented at Husson University’s Gracie Theatre and hosted by Jenkins. It is part of an effort by Jenkins to help stimulate awareness and discussion of critical moral and ethical issues. “Our film series is designed to increase public awareness of difficult issues and initiate conversations about possible solutions. "Fire At Sea" does all that and more,” said Jenkins. For more information about the screening, contact the box office at The Gracie at 941-7888 or visit GracieTheatre.com. This film is another example of the slate of innovative and thought-provoking presentations that audiences can experience at Husson University’s Gracie Theatre. Information about other upcoming performances is available on the theatre’s website, Facebook page, or by calling the box office. 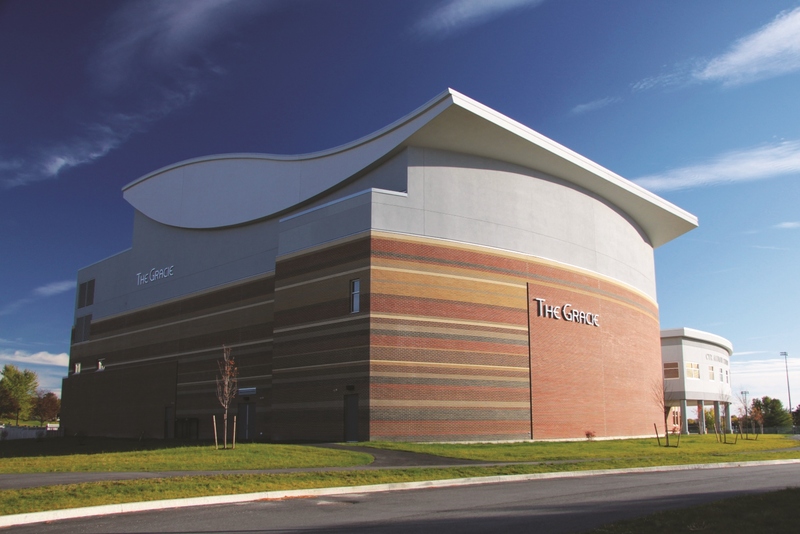 Completed in October of 2009, the Gracie Theatre is Husson University's center for the fine and performing arts. This beautiful 500-seat theatre is quickly earning a reputation as one of Maine’s premier performance venues. In addition, The Gracie also serves as a learning platform for students from the New England School of Communications in digital audio, sound mixing, set design and construction, lighting, acting and electronics. For more than 100 years, Husson University has prepared future leaders to handle the challenges of tomorrow through innovative undergraduate and graduate degrees. With a commitment to delivering affordable classroom, online and experiential learning opportunities, Husson University has come to represent superior value in higher education. Our Bangor campus and off-campus satellite education centers in Southern Maine, Wells, and Northern Maine provide advanced knowledge in business; health and education; pharmacy studies; science and humanities; as well as communication. In addition, Husson University has a robust adult learning program. For more information about educational opportunities that can lead to personal and professional success, visit Husson.edu. One Sheet Movie Poster for "Fire at Sea"This is a 300 dpi .jpg and is suitable for use in print or online. 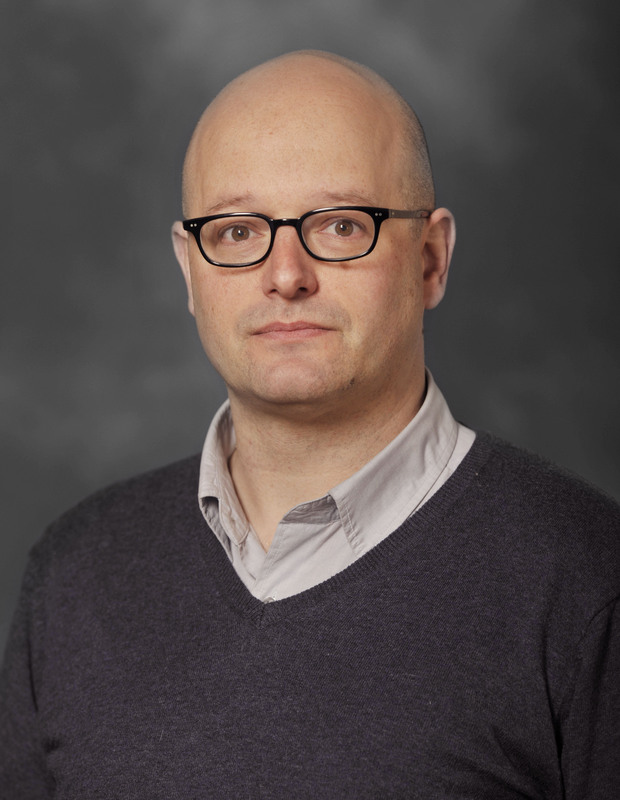 Nico Jenkins is an assistant professor of ethics and philosophy at Husson University's College of Science and Humanities.This is a 300 dpi .jpg and is suitable for use in print and online. The documentary follows a 12-year-old Italian boy who enjoys fishing, school, using his slingshot, and speaking with the thousands of people who cross the sea to his island.This is a 300 dpi .jpg and is suitable for use in print or online. 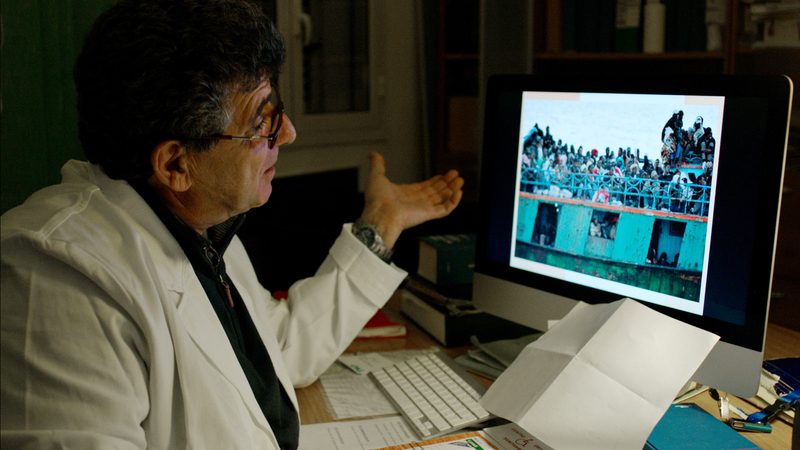 The filmmakers responsible for "Fire At Sea" describe the refugee crisis in a unique and poetic way.This is a 300 dpi .jpg and is suitable for use in print or online. Husson University's Gracie Theatre will offer a free screening of the Oscar-nominated documentary film "Fire At Sea" on March 22 at 7:00 p.m.This is a 72 dpi .jpg and is suitable for use online.